Your friend has new eyeglasses, and curiosity has gotten the better of you. You've never needed glasses and you wonder what it's like to wear them. But after trying on the flashy new specs, you feel disoriented, dizzy, or even get a headache. Your eyes have a difficult time focusing, even after you remove the glasses. It seemed harmless to wear your friend's new prescription glasses, but now you wonder if you've damaged your eyesight. Can wearing glasses when you don't need them, or wearing someone else's prescription, ruin your vision? You can relax. While wearing glasses when you don't need them may cause discomfort, it won't permanently damage your vision. Wearing glasses doesn't change your eyesight—they won't weaken your eyes or make them stronger. The appropriate strength lenses allow your eyes to focus to provide clearer vision only while you're wearing them. Should You Wear Glasses You Don't Need? Though you won't damage your eyes by wearing someone else's glasses, the wrong prescription—or even a new prescription in your own glasses—may cause headaches, eye strain, blurry vision, watery eyes, and dizziness. What causes these symptoms? Your eyes and brain ‘speak' to each other, and wearing a pair of glasses made for someone else confuses the message sent to your brain. Your retina sees an image that is out of focus, blurry, and distorted as the correction isn't appropriate for your eyes. Both your eyes and brain have to work harder, which causes eye strain and discomfort. The discomfort caused by wearing someone else's prescription will ease soon after you remove the glasses. Eyeglasses, whether prescribed or unprescribed, will not accelerate deterioration of your vision. Weakening vision is something that happens to all of us as we age, with or without corrective lenses. 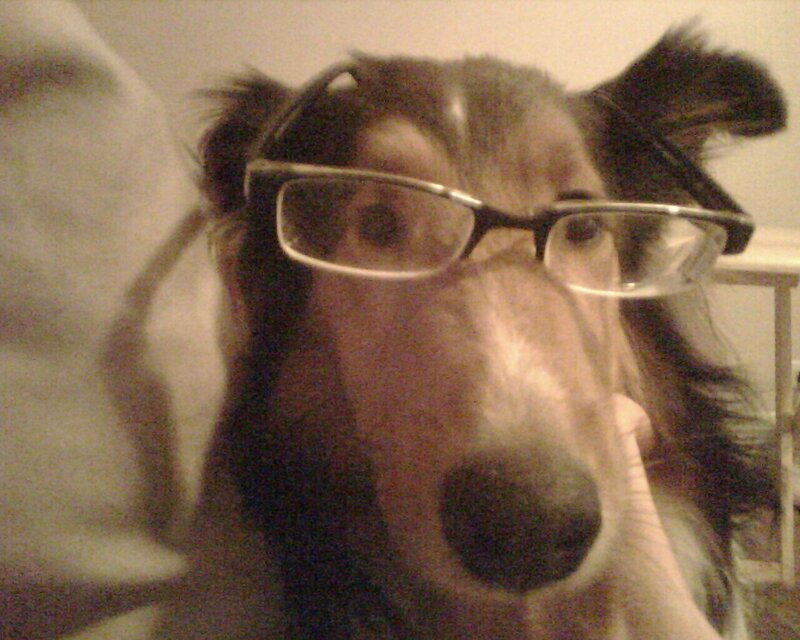 Likewise, you will not improve your eyes by wearing glasses. Glasses don't change your eyes - the lenses only bring the world into focus to allow you to see clearly while you are wearing them. You won't make your vision better or worse as a result of wearing glasses. Wearing glasses when you don't need them will not damage your eyes, but there's no reason you should be uncomfortable if you want make a statement with eyewear. 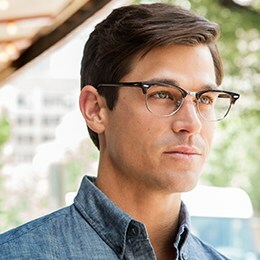 If you want glasses for fashion rather than for vision correction, save yourself the headache and order your frames with plano, or non-prescription lenses. Main image credit Matt Stratton on Flickr. FramesDirect.com > Blog > What Happens if You Wear Glasses When You Don't Need Them?